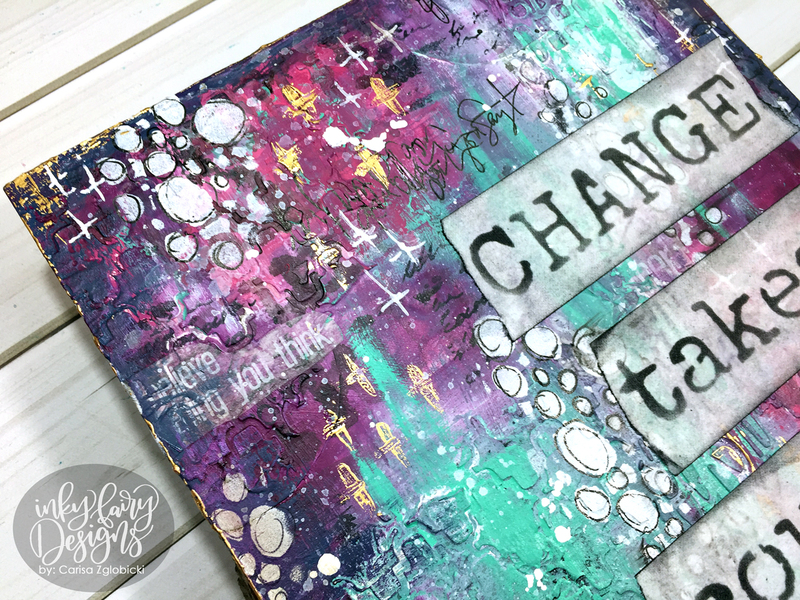 We are so excited to be back with another Mixed Media Mania YouTube hop! Our Spring debut hop was so incredibly successful and your comments asking us to do so definitely inspired us to bring it back. We are looking forward to these hops every Spring and Fall for your pleasure. I hope you will enjoy this one just as much, if not more than our last one! Honestly, this was just a little idea that grew into so much more than I ever imagined. The support from the art community from new artists joining the hop to our ever growing list of sponsors is just so humbling. It is a blessing to be able coordinate (although I am learning more and more about myself as a "coordinator" haha) these for you. As always, we don't have a theme. We want our artists to create from a place that brings them pure joy because I feel like that is when you get the most inspiration from someone. And that is exactly what I've done with my project for you today. All I knew is that I wanted to use these colors and then I dug into my stash to find as much product I already own from our amazing list of sponsors that you will see like Ranger Ink, DecoArt Media, Thermoweb, Mixed Media Place, Shawn Petite and more along with some new goodies from a new company that is joining us this time. Red Lead Paperworks was incredibly generous in sending some of us product to use in our projects today and I definitely encourage you to check them out! 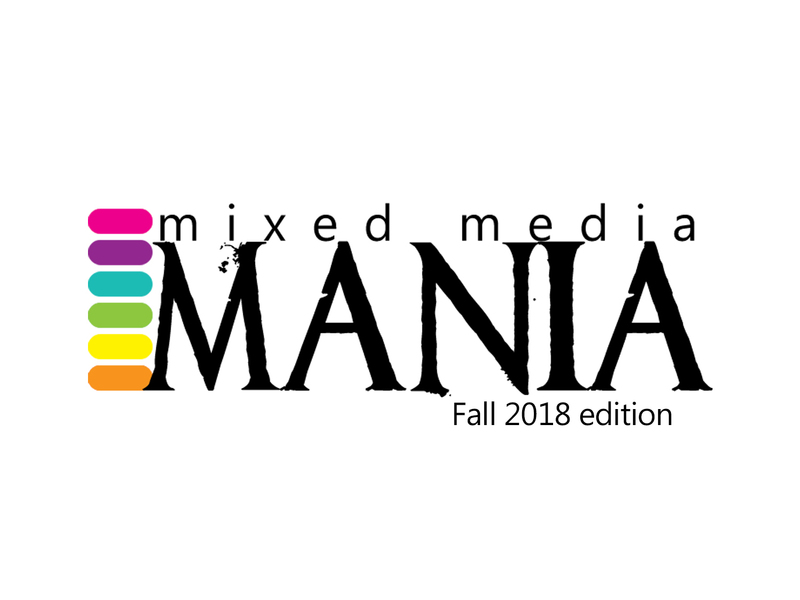 It's like a candy store for Mixed Media Artists! 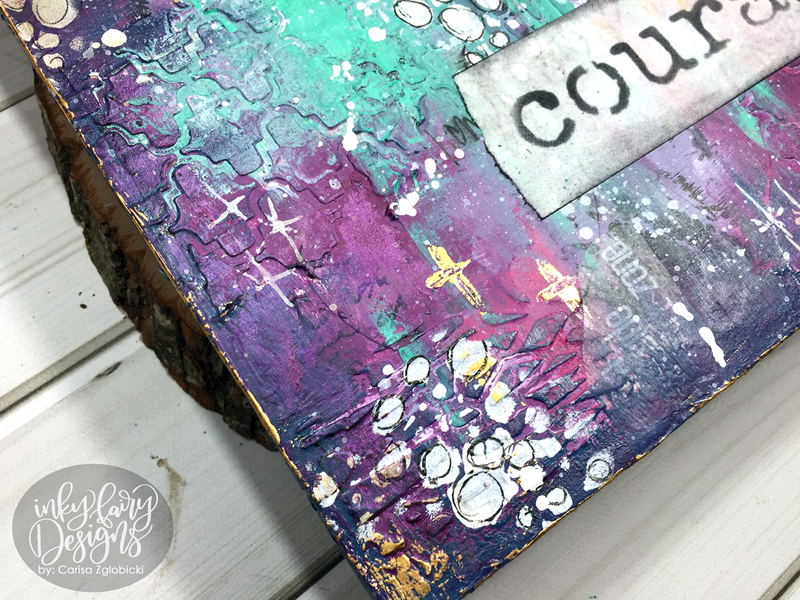 My canvas is full of texture, color, texture and more color! 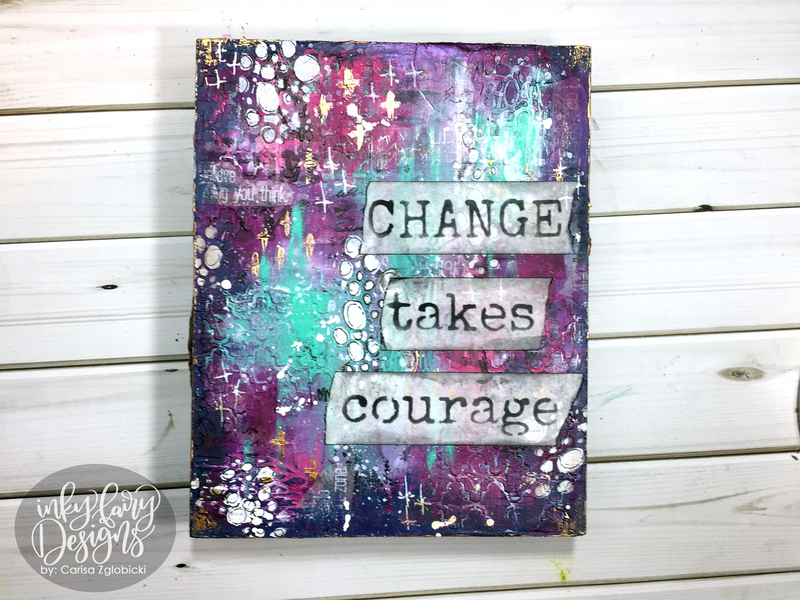 This is a YouTube hop so to be eligible for the giveaways, please head on over to my YouTube Channel Inky Fairy Designs now to start the watching and leaving those comments along the way. 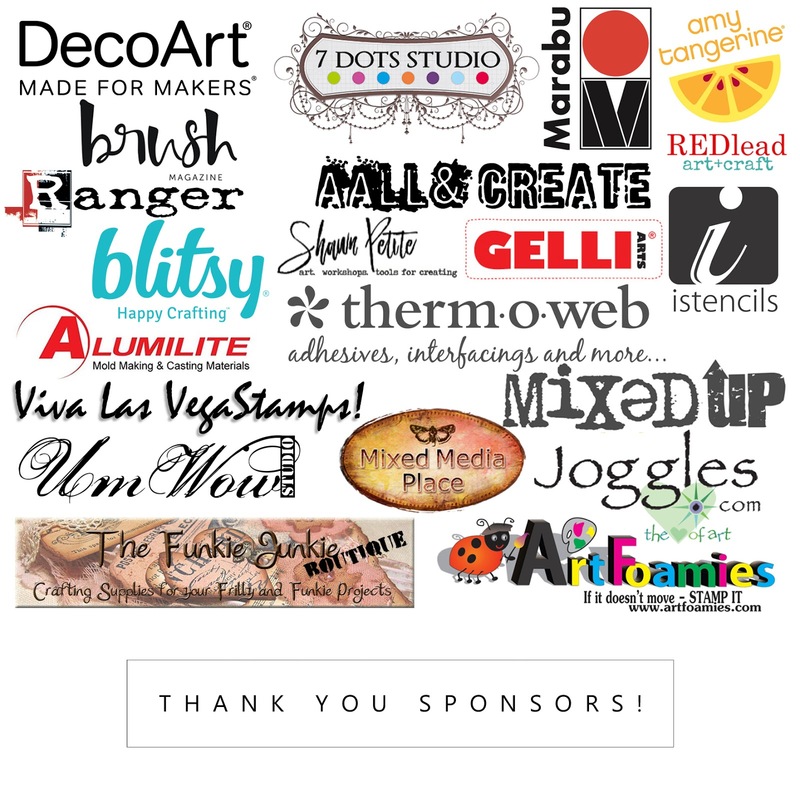 A HUGE thank you to our amazing sponsors! It is always so incredibly humbling the amount of support and excitement we get from the awesome companies. Here's how to enter: No purchase necessary. Subscribe to artist channels. Comment on each video in the hop and add your country in parenthesis. The giveaway will run for ONE week from from 12:00 pm Pacific Daylight Time October 5th 2018 when the videos go live to 12:00 pm Pacific Daylight Time October 11th 2018. Winners will be announced October 19th 2018 here on my blog as well as DeeDee Catron.